The project will consist of three separate Meat Processing Plants of approximately 300,000 square feet for cattle, hogs, & sheep/goats. The cattle plant will process 1,000 head of cattle per day expandable to 2,500; the hog plant will process 2,000 hogs per day expandable to 5,000; the sheep/goat plant will process 500 sheep and 500 goats per day expandable to 1,250. The project will also include a Rail Spur, a Kosher Kill Area, Prepared Meals Kitchen, Smoke Rooms, Freezer Storage Areas, Loading Docks, Sorting & Settling Corals, Rendering Plant, Geo-Thermal Plant, Solar Energy, Wast Water Treatment Plant, Biomass Holding Facility, Pet Food Facility, Hydroponic Garden which will produce 7 pounds of feed for every 1 pound of planted seed in just 7 days, Power Plant, Silos, Feed Sheds, Barns, Administration Building, 75,000 sq. ft. Shipping & Receiving Warehouse, Leather Tanning Plant, along with 700+ acres of Crop Production. The facility will be designed & constructed to the highest standards of the USDA and EU, and truly a “Green Corporation.”Mr. 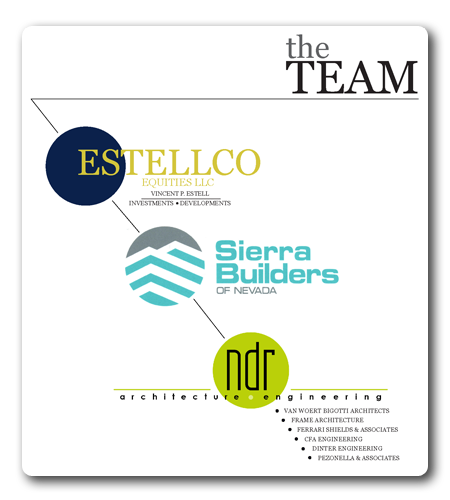 Vincent Estell of ESTELCO Investments/Developments is in the process of dedicating 130 acres to the University of Nevada, Department of Agriculture. Mr. Estell will also allow the University to use the Processing Plants on the weekends for hands-on training, and upon graduation, provide an employment opportunity for the graduates.Construction is scheduled for spring of 2012 and upon the completion of the Meat Processing Plant will employ 400 to 750 and the company will pump about $50 million overall into the community once the project is fully implemented.